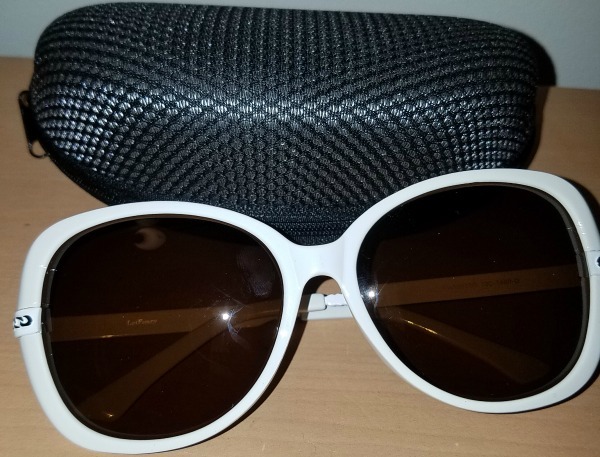 I recently got a pair of sunglasses on Amazon sold by LotFancy. I haven't worn sunglasses in a really long time and needed a pair. I'm not sure why I haven't bought a pair up until now. You'll see me stepping outside without squinting from now on. This is a nice, sturdy pair of glasses. The white rims are fun and stylish. It even comes with a protective case. This is great for me because my kids tend to destroy my stuff. They do look large on my face but I like that kind of look. 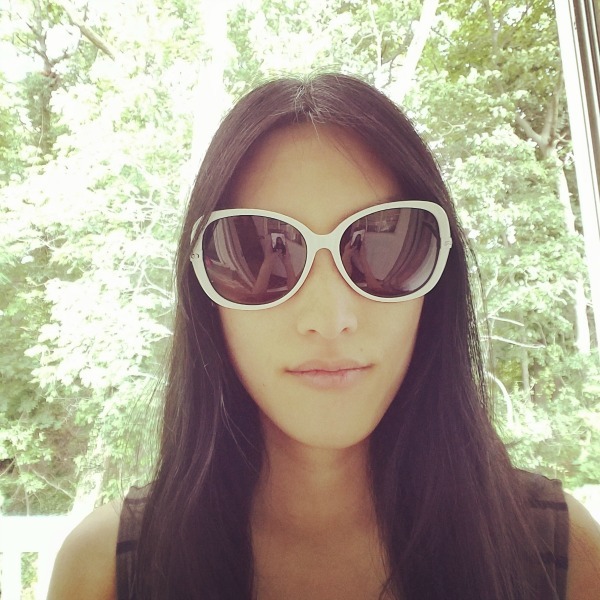 As a teenager, I owned a pair of white sunglasses that were a little more cat like. If you are in need of a pair of sunglasses check out Lotfancy on Amazon. They have different styles to choose from. I liked the polarized tint to the glasses. When I wore them, it didn't make things around me too dark looking. Discount Code for my readers. This code is good before July 31st for 15% off. I think the prices are great too. I don't spend a lot of money on myself these days. Anything under $20 is a good price to me. I love how you say "As a teenager, you still look like a teenager. Love the glasses!